Need a Fighter on Your Side? We Offer Tenacious Advocacy - Don’t Be Victimized by the System. At The G. Carter Law Firm, we passionately pursue justice for every single client. Our New Orleans defense law firm will give everything we have to our clients, pouring all our time, resources, and insight into defending your rights. Our award-winning criminal attorney has been through every stage of the process—time and time again. Our experience, zeal, and tenacity get results. Most prosecutors are in court every day forging relationships with judges and the police. These prosecutors are highly trained in getting convictions, and they are not interested in doing what is best for you. At The G. Carter Law Firm, we have the experience and fight to overcome this challenge. We will battle tirelessly for your best interests, working to protect your every right, your dignity, and your future. Call (504) 267-1157 now for your FREE consultation! Our New Orleans criminal defense attorney answers calls 24/7. Passionately Pursuing Justice for Every Client. Every Time. Whether you are being investigated for a crime or have been arrested, you need a lawyer, and you need a lawyer who will fight for you. Don’t face this alone. Every decision you make is crucial. At The G. Carter Law Firm, we will fight for your interests even in the face of mounting adversity and pressure. We handle all misdemeanor and felony criminal offenses. Call (504) 267-1157 now so we can fight for you before it’s too late. Since coming to New Orleans in 2009, Gregory has focused his legal career on defending the accused. At the public defender's office, he represented hundreds of clients who faced charges ranging from misdemeanor offenses to felonies. 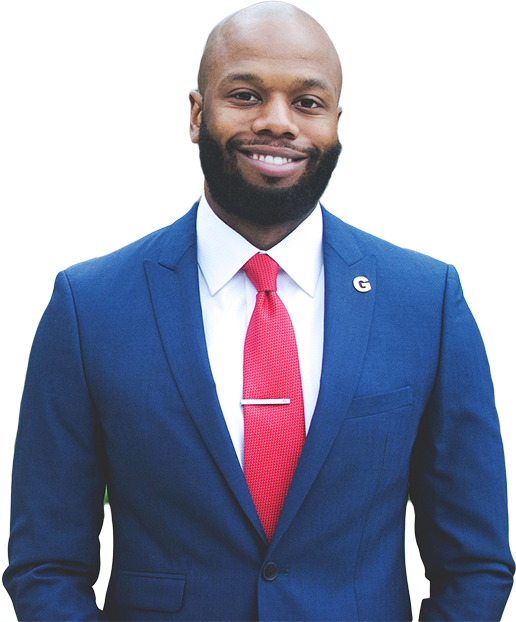 Since starting his private criminal defense firm in 2011, Gregory has defended people accused of murder, narcotics trafficking, assault and battery, and various other crimes throughout the state of Louisiana.